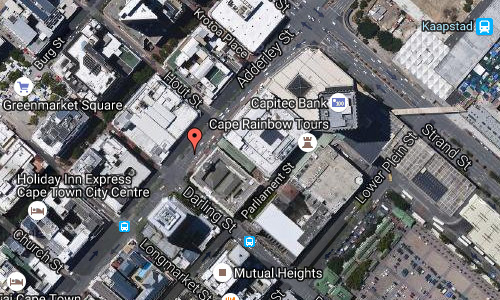 Adderley Street is a famous street in Cape Town, South Africa. 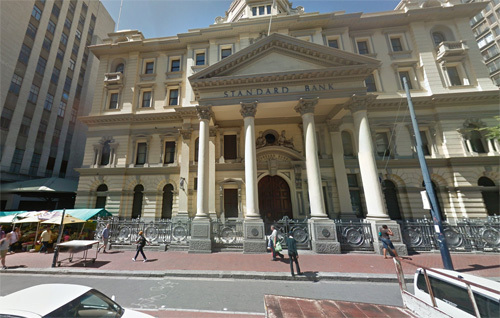 It is considered the main street of the central business district (downtown) of Cape Town. The Christmas lights, night markets, main train station and numerous shops and restaurants and office towers are on this thoroughfare. The street was originally named Heerengracht, after the canal (“gracht”) which ran down its centre, and which had its origins in the rivers from Table Mountain. At the time the street was more of a wide walkway beside the canal, which was crossed by various stone bridges. 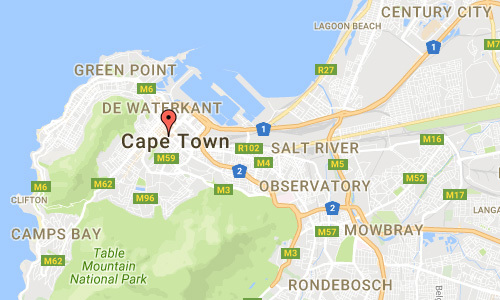 The network of canals were covered over, throughout Cape Town, in the 1860s. The Heerengracht river and canal therefore became an underground pipe-line. For many years the street was residential, lined with large oak trees, but by 1850 it had become strongly commercial in character. 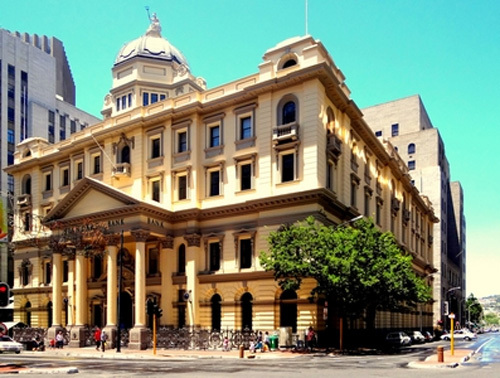 Mayor Hercules Jarvis named it Adderley Street in 1850, to honour British Parliamentarian Charles Bowyer Adderley (elevated to the peerage as Baron Norton in 1878) who fought successfully against the plan for the British government to make Cape Town into another penal colony. 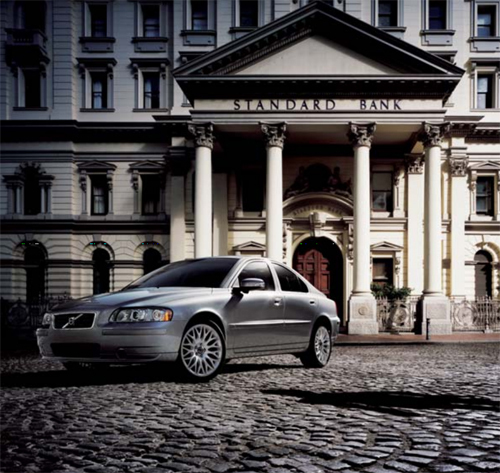 More information at www.standardbank.co.zawww.southafrica-travel.net, capetownhistory.com and en.wikipedia.org.